As an agent with Transworld Business Advisors, we help our clients buy and sell businesses every day. Every broker that is part of our team completes a full business brokerage training course and certification program. We understand that the task of buying or selling a business can be overwhelming without the proper guidance and skills. Over the years, we have helped many companies around the world with the buying and selling process by ensuring our clientï¿½s confidentiality every step of the way. Our goal is to make the process as smooth as possible for both sides by relying on our global network of experienced brokers. 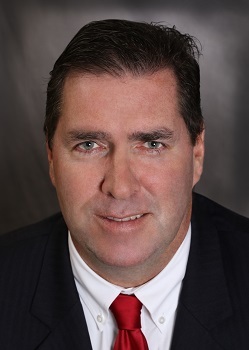 With over 260 transactions sold Michael Shea is the Senior Broker in our Orlando office. Visit his podcast to get information on buying and selling businesses here in Florida. Transworld Business Advisors is an outstanding company to trust with your business dreams. They excel at pairing compatible buyers and sellers as well and creating a seamless transfer of ownership. They can work with absolutely any kind of buyer or seller-from child care facilities to corporations, even owners who are looking to sell their current business or entrepreneurs looking to go into business for themselves! Knowledgeable and professional and won't steer anyone in the wrong direction just to close a deal. Give them a try, you'll be pleasantly surprised! The Transworld team has been friendly, professional and operated with integrity in all of my interactions with them. If you are thinking about buying, selling or preparing to sell a business in the future I would highly recommend working with them. Articulate, knowledgeable brokers, smooth process. If this is an investment avenue you are looking to pursue, I would call Transworld first. My wife and I recently purchased a franchise from Transworld Business Advisors. They were professional from start to finish in guiding us through the complex process of purchasing a business. Thank you, Transworld, for making our dreams come true! Dustin Audet and the team at Transworld represented the company we purchased and did an excellent job of providing information on the opportunity and managing the due diligence and closing process.